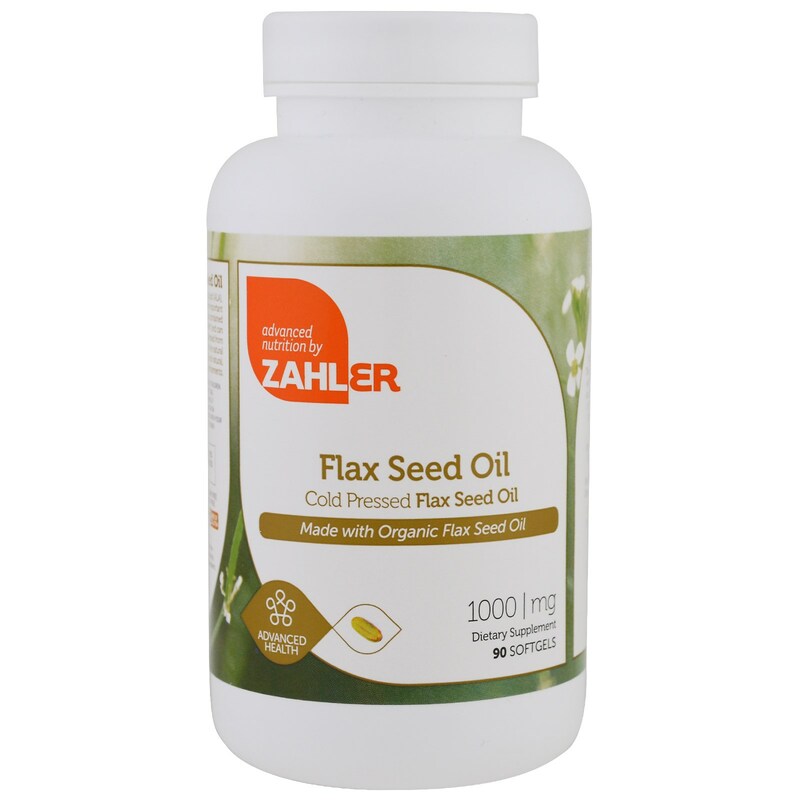 Zaher's Flax Seed Oil is high in alpha-linoleic acid (ALA), which is partially converted by the body into other important nutrients like DHA and EPA. 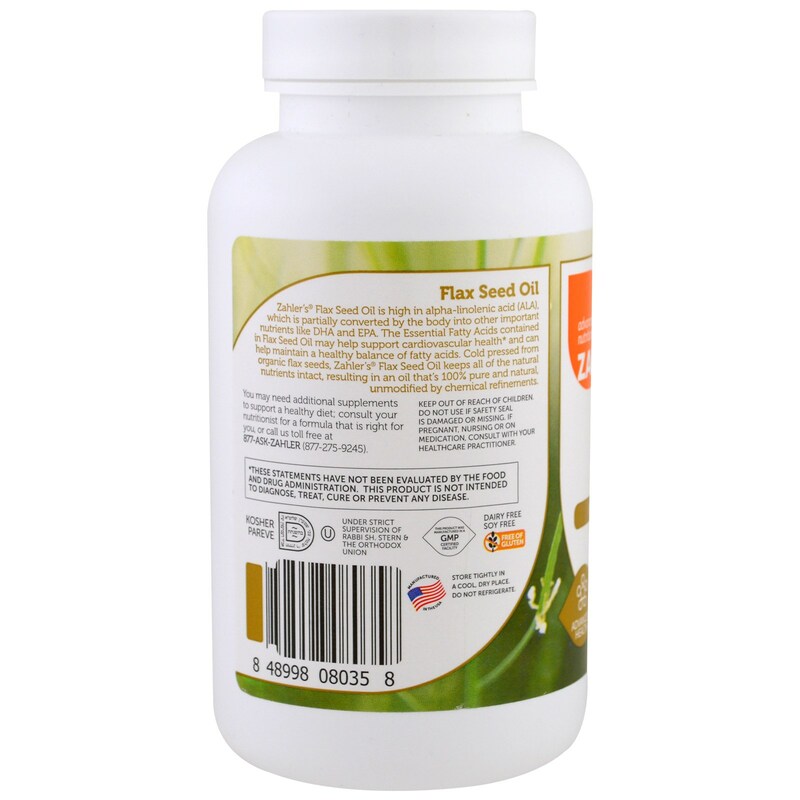 The Essential Fatty Acids contained in Flax Seed Oil may help support cardiovascular health and can help maintain a health balance of fatty acids. Cold pressed from organic flax seeds, Zahler's Flax Seed Oil keeps all of the natural nutrients intact, resulting in a n oil that's 100% pure and natural, unmodified by chemical refinements. 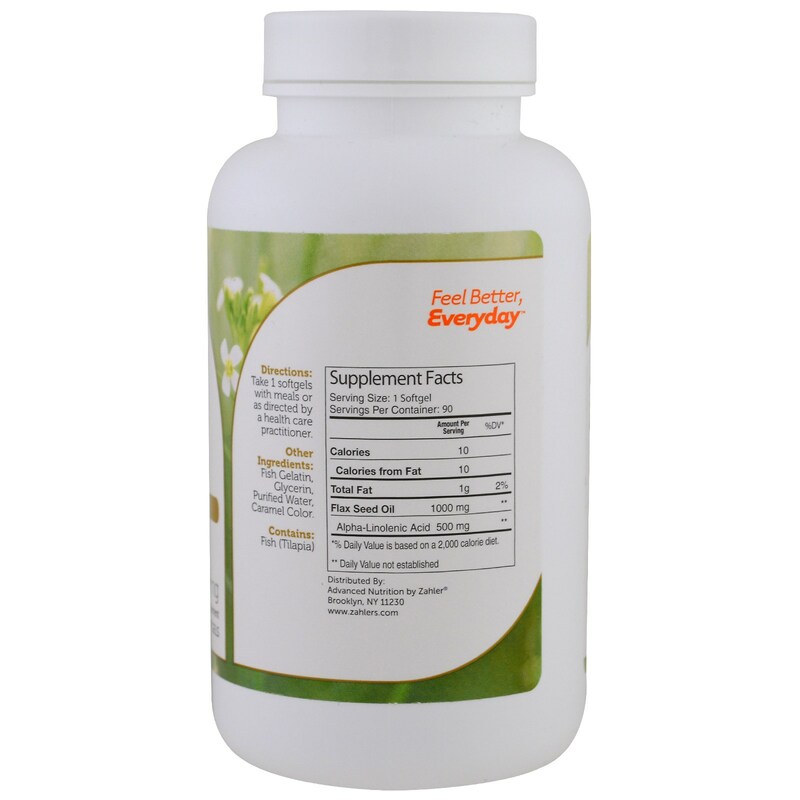 Take 1 softgels with a meals or as directed by a health care practitioner. Fish, gelatin, glycerin, purified water, caramel color. You may need additional supplements to support a healthy diet; consult your nutritionist for a formula that is right for you. Store tightly in a cool, dry place. Do not refrigerate. * % Daily Value is based on a 2,000 calorie diet.